Tbd Miracle Strip Parkway, Fort Walton Beach, MLS# 723685: ERA American Real Estate Buy A Florida Vacation Home, Schedule a Showing, Call Brandon Jordan of ERA American Real Estate Today! 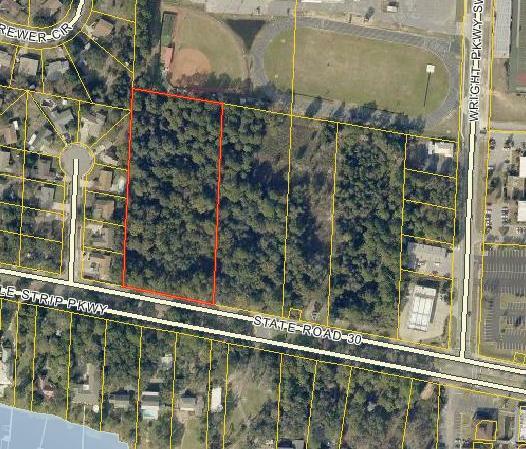 7.79 acre Commercial Land on High Traffic Corner of Wright Pkwy and Miracle Strip Pkwy near Fort Walton Beach High School. Four parcels combined; perfect for commercial development. This listing provided courtesy of Nbi Properties Inc. This information was last updated on 4/17/2019 10:07:46 PM.